Giselle is a stress and anxiety management practitioner with a proven track record of guiding individuals and groups to overcome the hurdles that they might face in their professional and personal life. Since 2010, Giselle has successfully run her private practice guiding many individual clients through the challenges they experience, enabling them to transform their lives to being more productive, fulfilled and content. Giselle designs her sessions to be bespoke to the individuals’ needs using the latest cutting-edge research from Cognitive Hypnotherapy, Positive and Behavioural Psychology, Mindfulness and Cognitive Behavioural Therapy. At the same time, Giselle is busy developing and running regular programmes at King’s College London enabling the professional staff, academics, and PHD students to effectively deal with the many challenges that working within this sector brings them. 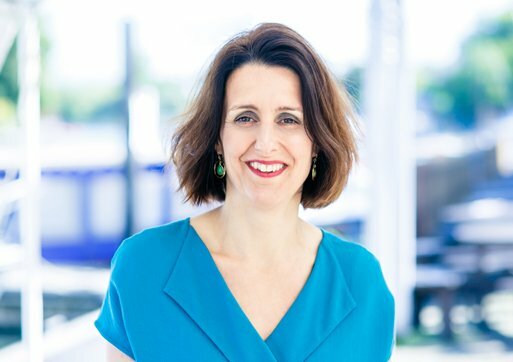 Over the years Giselle has also created and facilitated many different workshops including ‘Say no to stress and take control back – a practical guide’, ‘Overcoming Stress for Busy Mums’, ‘The Midlife Revolution’ and ‘Create Hygge into Your Life’. Giselle believes that effectively dealing with the challenges that life throws at individuals is a skill that can and should be learned from the very early years of education. That’s why Giselle is committed to inspiring children and staff of schools by teaching them mindfulness and stress management techniques. Giselle (DipCHyp, HPD, MPNLP, BA Hons) is trained by the acclaimed Quest Institute in Cognitive Hypnotherapy (2010) and NLP Master Practitioner (2011) and with Dr Brian Roet on the powerful Parts work. She has also studied People Centered Counselling, Confident Childbirth, Mindfulness, The Three Principles, Eye Movement Integration, Emotional Freedom Technique, Positive and Behavioural Psychology and is constantly reading and learning about the mind and ways to enjoy happier and calmer lives. Giselle has been passionate about personal development from a very young age. After experiencing some deep traumas in her formative years, Giselle set her mission to learn and experience effective ways to manage the overwhelming emotions she was feeling. Refusing to allow her early challenges to define her, has meant that she is now in the amazing position to guide others through their challenging and stressful times with empathy, compassion and deep insight into creating their own transformation. In her personal life, Giselle is a mum of 3 which she juggles between her busy work life, always striving to reach a healthy balance between the passion she feels for her work and the deep love she feels for her family. And of course attempting to fulfil the very important need to prioritise herself too!